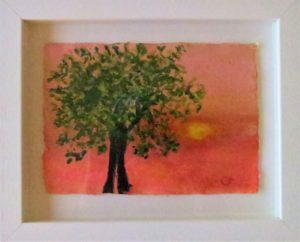 Many of my sacred tree paintings have already found homes and there are more waiting to be snapped up by nature lovers and those who appreciate the healing energy of colour and trees. Trees have been instrumental in my healing journey and path to authenticity. Through my work I seek to inspire others to find their way towards a better version of themselves. I believe this is how we can help each other more fully. Lennon’s at the Visual offer a tantalising selection of coffees, cakes and delicious meals and is a popular venue for Carlow people who like catching up in fine surroundings. The Visual Gallery building is also home to the George Bernard Shaw theatre where you have a variety of entertaining and thought-provoking shows to choose from. During your visit to the Carlow Visual Gallery, take a look at its bookshop next to the reception area. Here you will find my books Seven C’s to Calm – Reclaiming your Anxiety-Free Self and my poetry book The Whisperings of Nature. 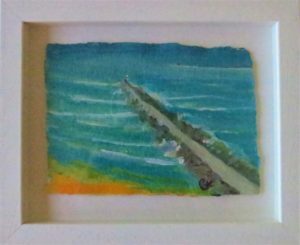 So, mark your calendar for March 2019 and make a date to meet your friends at Lennon’s at the Visual and take time to ponder my babies, I mean my wonderful tree paintings. 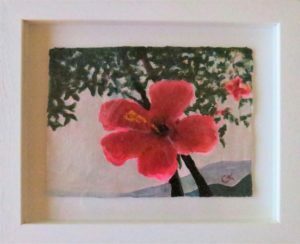 Maybe you will find a particular tree painting there that will be the perfect addition to your home or as a gift for a loved one or maybe even to provide inspiration in your workplace. 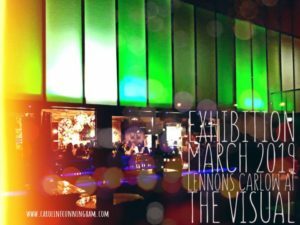 Have you been to Lennons already during March? What was your favourite painting or art print? Visual Artist, Author, Authentic Reflexology Therapist.